Taking care of your mouth and teeth is important when wanting to have a healthy, clean smile. Most people know that brushing is essential to taking care of your teeth, but aren’t sure which type of toothbrush to use. There are a number of toothbrushes you can purchase. For disposable toothbrushes you should take a look at the size of the brush head. Some people have larger mouths with bigger teeth and prefer to have a brush hard that can adequately clean their teeth. On the other end of the spectrum some people have smaller mouths and require a brush head that isn’t too bulky. Try and few disposable toothbrushes out and see which size feels the most comfortable. Most dentist recommend using a soft bristle toothbrush. This allows for a gentler cleaning of your teeth and reduces the likelihood of over brushing which can damage your enamel. Some people a hard bristle head as opposed to a soft. If this describes you consult with dentist to make sure you aren’t hurting your teeth with hard bristles. Many people prefer to use electric toothbrushes as opposed to disposable ones. There are countless models on the market for purchase. If you decide you want an electric toothbrush look for one with the same qualities you desired in a disposable toothbrush. Price is also a concern so be aware that sometimes the better product will cost a little more. These are also not a onetime purchase as the brush heads need to be replaced (just like replacing a disposable tooth brush). 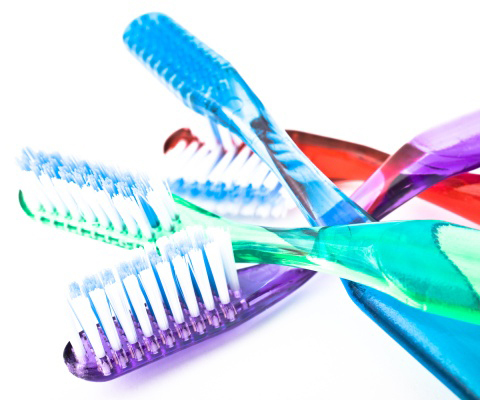 Be aware of hidden costs and always consult with your dentist when switching the type of toothbrush you use. When it all comes down to is price and comfort; most brushes on the market will get the job done pretty well. Experiment and find one that best fits you and your brushing habits.